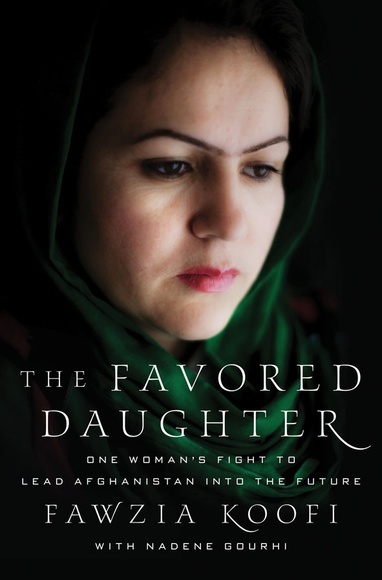 Fawzia Koofi’s new book gives a rare and gripping insight into the life and reflections of an Afghan woman who fought against all likelihood to become Afghanistan’s first female Parliament Speaker. The book’s graceful and vivid language allows the reader to become Koofi’s shadow, accompanying this brave woman throughout her extraordinary journey. The powerful story begins with her birth to Wakil Abdul Rahman, member of the Afghan Parliament and his second wife. Her father’s 19th child with his second wife out of seven, Koofi was left to die because her mother wanted a boy. Nonetheless, Koofi survived thanks to her mother’s mercy and remorse. She endured the deaths of her closest family members and survived assassination attempts on her own life. Despite these incredible hardships, Koofi did not lose hope. She found purpose and strength in helping people, especially rural women and children. To read how Koofi, despite all adversity and misfortunes, empowered herself is profoundly inspiring. But the book is not only about Koofi. Its underlying theme is Afghanistan’s future. The book confronts the salient question on how to construct a new Afghan identity, one that does not pay tribute to the brutality and inhumanity of the Mujahidin, the Taliban, and the current war on terror, but one that includes the Afghans’ rich history and culture. Koofi believes in an Afghan identity that is based both on traditions and on human rights, civility and the rule of law. This book comes just at a time when the United States is planning to withdraw its troops. The spellbinding story refocuses the attention of a desensitized world on Afghanistan’s potential and future.